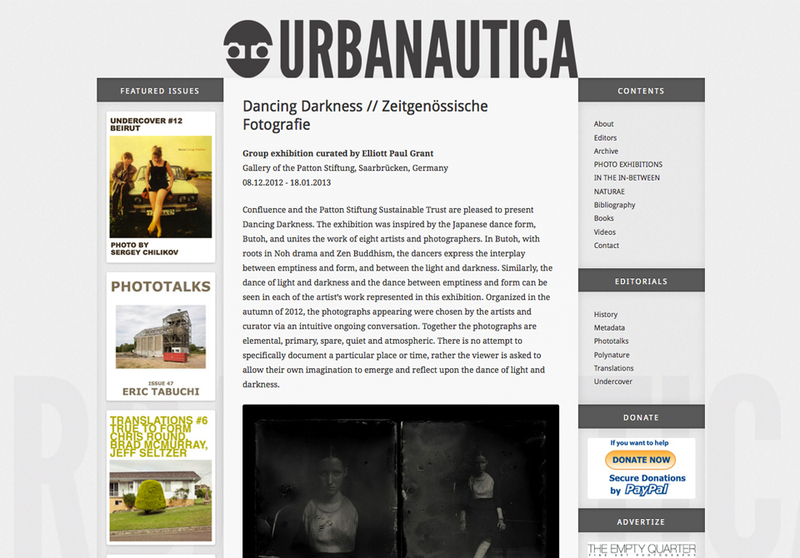 Urbanautica is an independent Web Journal dedicated primarily to contemporary and documentary photography, introducing new works or new talented photographers that research landscapes and the urban environment to the world. Steve Bisson is the founder and editorial coordinator of Urbanautica. He organizes exhibitions and curates publishing projects. Since 2011 he is the Art Director of the AsoloArtFilmFestival. 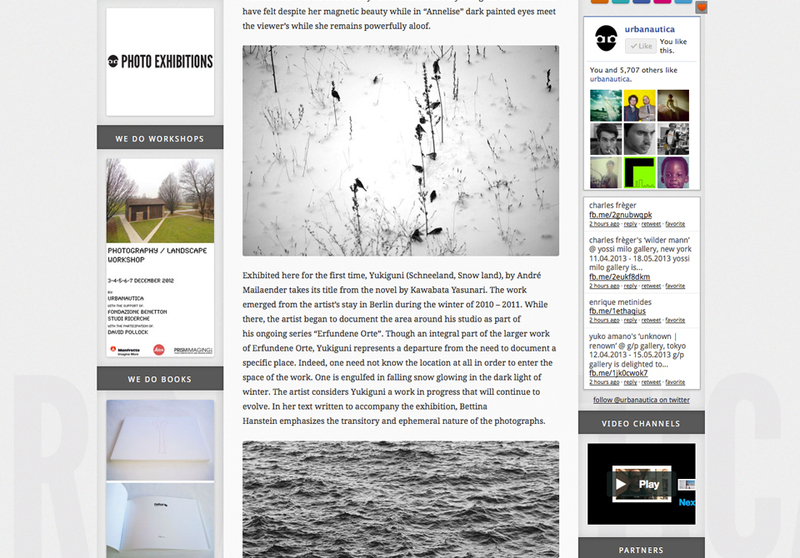 In the June 2012 he created Photoexhbitions.org, a new platform dedicated to photography exhibitions and around the world. 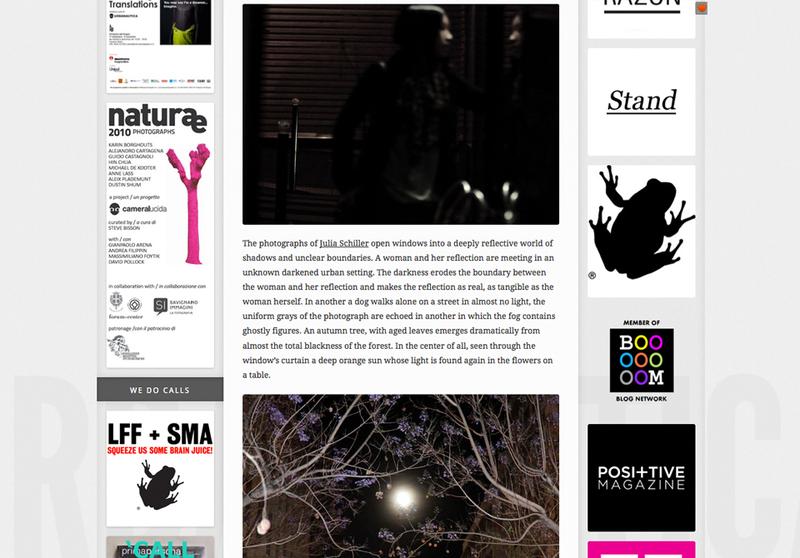 This entry was posted in Exhibition, Feature, Group exhibition, Online Magazine, Photography and tagged Dancing Darkness, Steve Bisson, Urbanautica. Bookmark the permalink.